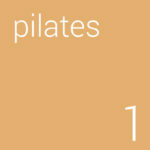 in Pilates it’s always best to be working at the right level for you. If you have just completed the Beginner’s Course with Pilates4Life, or have achieved an Intermediate level at another Pilates school, then this is the right class for you. 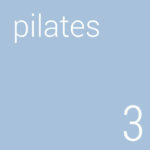 You should be fully competent in the fundamentals and basic repertoire of the Pilates Method. If you have movement limitations, or are recovering from injury or surgery, then this is also the right level for you. At this level we are no longer learning “how to” but practising and perfecting the Method; building confidence and building the repertoire of exercises. The first term of Level 1 after graduating from the Beginner’s Course is a steep learning curve but after four or five terms at this level you should be ready for the challenges of Level 2. Need to check Location Details? The pace of the class is slightly faster than Level 1 so control, precision and quality of movement are vital criteria. We begin to add the more challenging exercises from the Pilates Method and develop strength and flexibility in preparation for Level 3 (Advanced). If you have been practising Pilates for a while and found that you are no longer improving, then the rigour applied at this level is just what you need to take your performance to the next level. Precision teaching combined with subtle variations in alignment isolate the key muscle groups so that the transversus abdominus works effectively. This is a slow, but steady process and is usually completed in 6 to 8 terms, leaving you stronger and ready for a seamless transition to the Advanced Class. This is a fast moving and flowing class that includes some power sections. 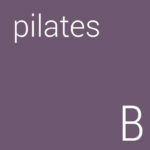 Remaining as faithful as possible to the Joseph Pilates sequence the movements provide a challenging, pulse raising workout. Prepare to perspire!